Today, the jutti has metamorphosed into bespoke footwear. 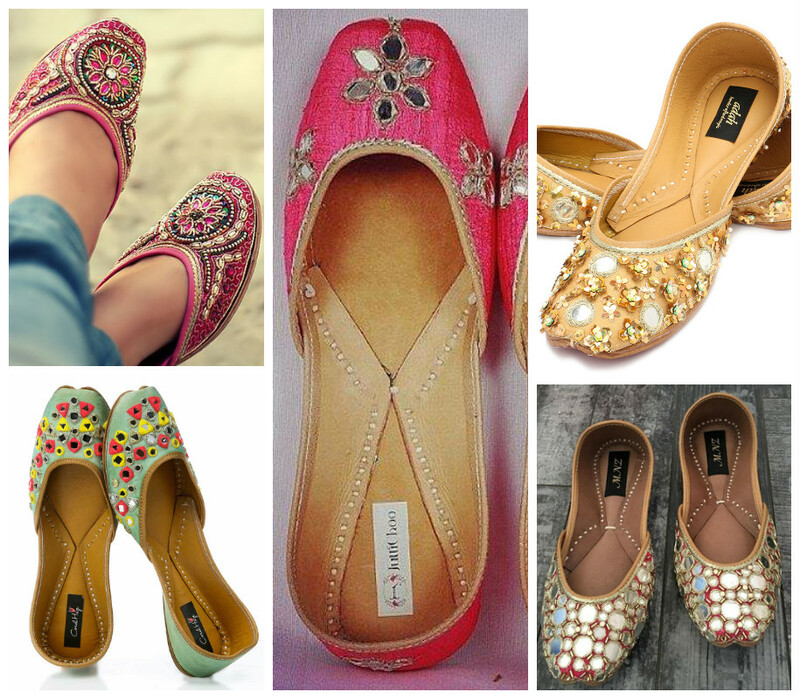 Designer jutti labels have come into being and some boast celebrity clientele and most offer worldwide shipping, making these a must-have accessory, irrespective of what season. 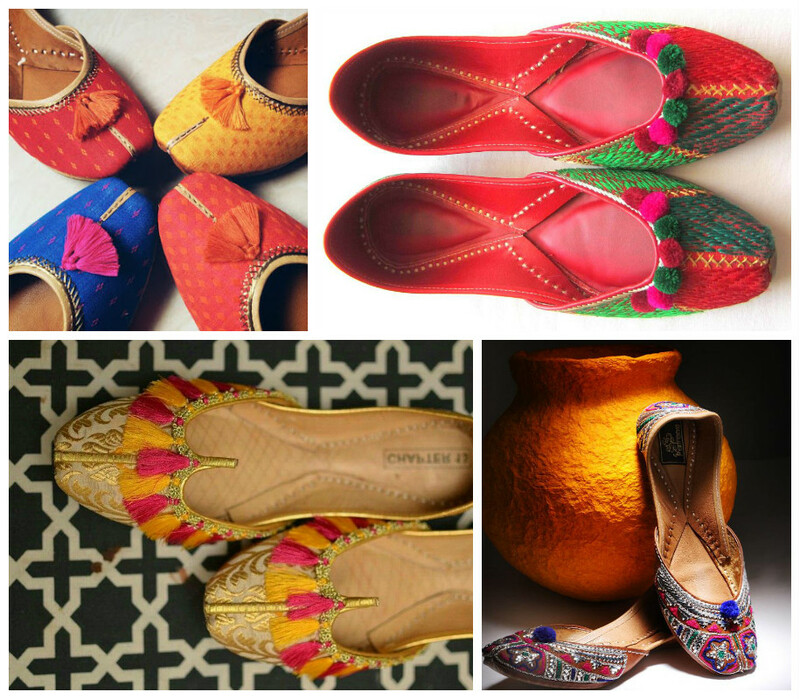 The modern jutti is an expression of Indian heritage and ethnic design. 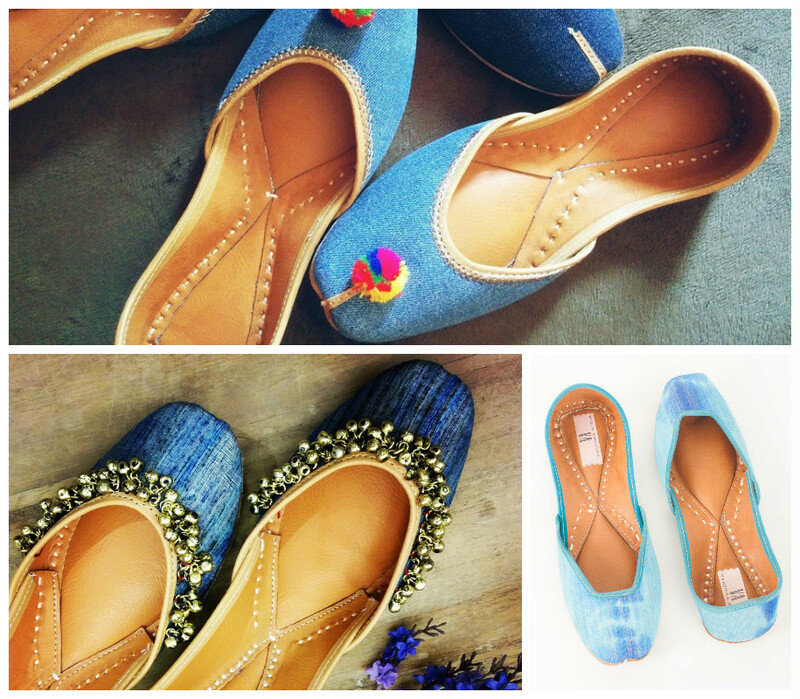 A balanced mix of tradition and modernity goes into designing these beautiful shoes. 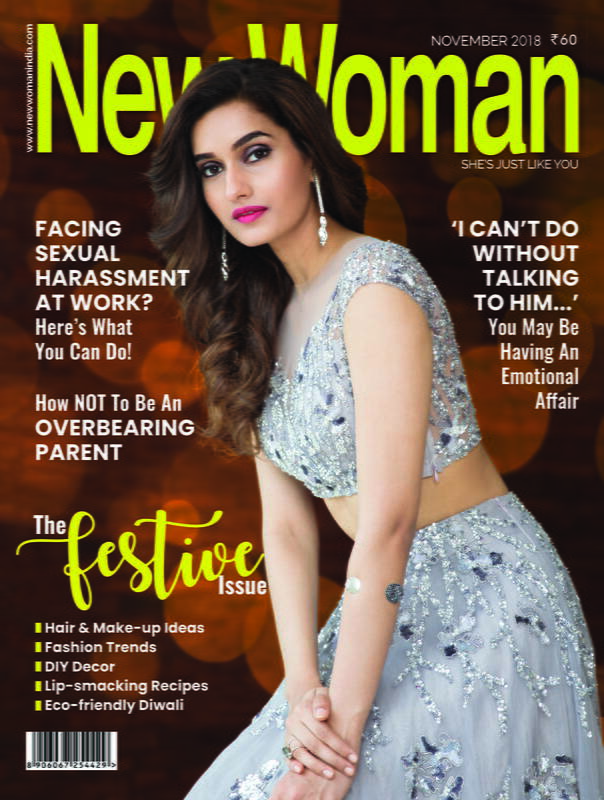 These ethnic beauties can be paired not only with Indian outfits, but also for a crazy night at a cocktail party/sangeet, or a girls’ night out at a dance club. 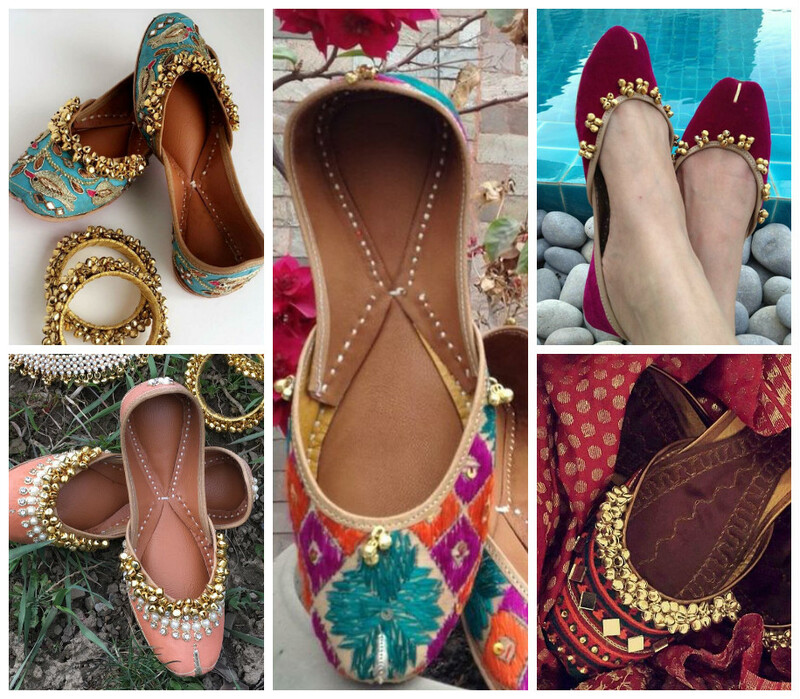 Following are the 7 designs in juttis which are ruling the fashion scene and are the must haves in your wardrobe, if you can deal with the shoe bites that these pairs may give you! 1. 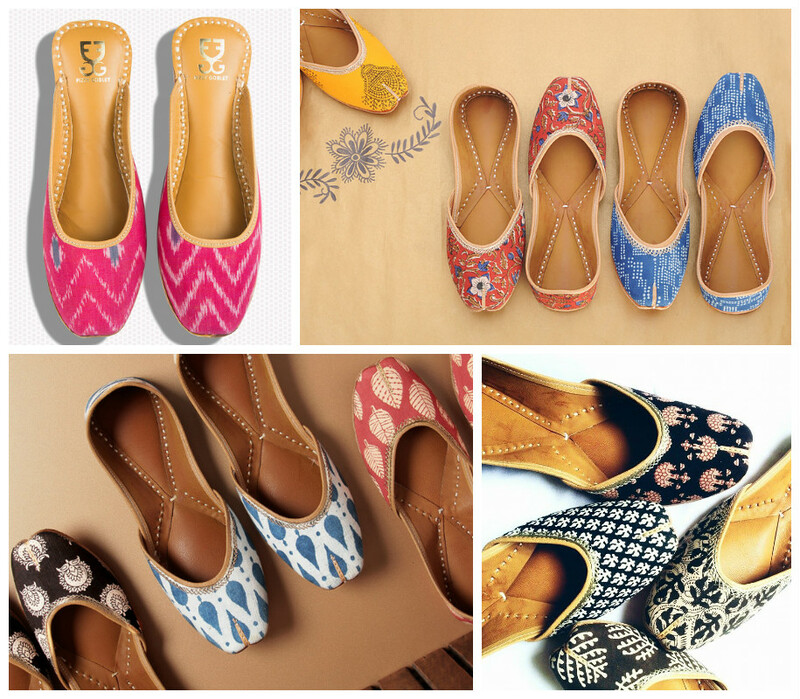 Printed Juttis: Shibori, bagru, tie and die, paisley motifs or whatever! This kinda design is traditional but you can rock these pairs with denim, short skirt, dresses to add extra zing. But be very careful when you are cleaning these shoes. The embellishments might come off. Don’t rub the juttis against each other or another surface as this can damage the embellishments and embroideries and never wash your mirror-worked juttis. They must be dry-cleaned only. 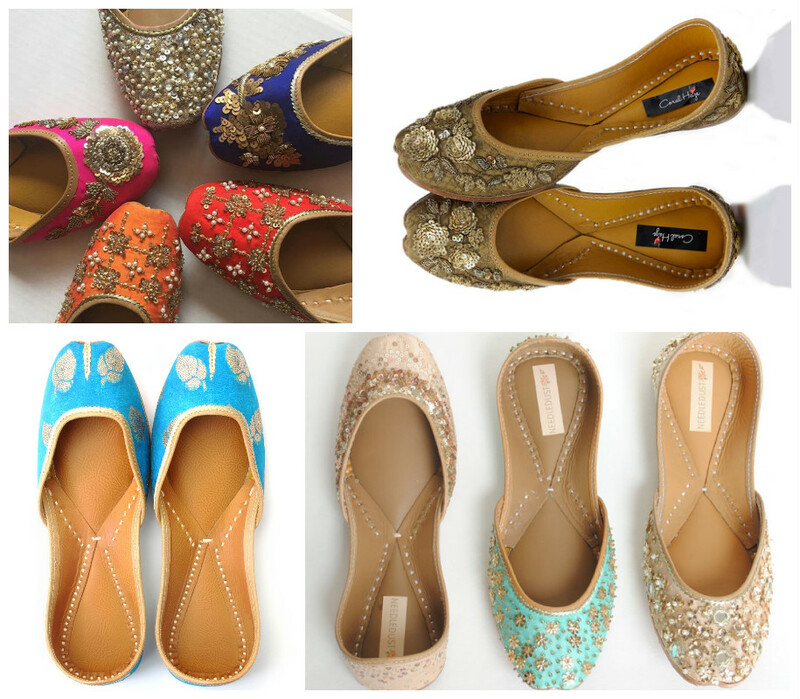 Wedding and festive juttis have zardosi work, katdana, sequins, mirrors etc. 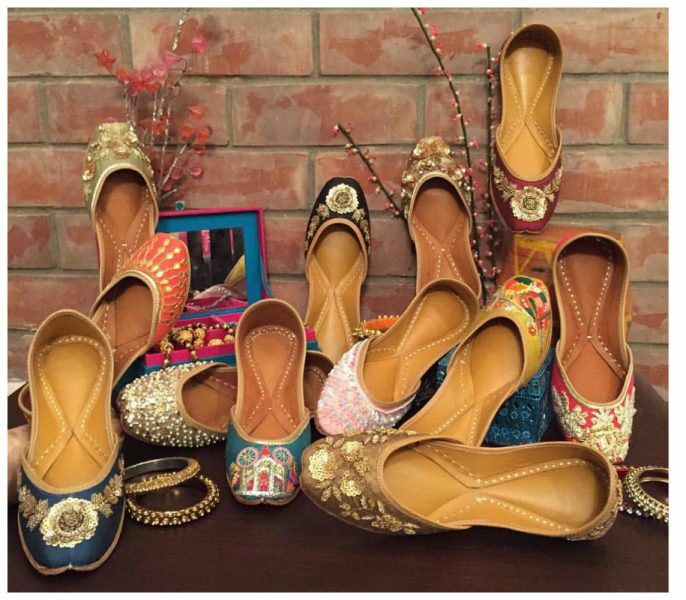 Heavier work on juttis are usually associated with special occasions. For get the stilettos and wear these traditional shoe, which will be chic and comfortable (these don’t have heels, so no pain) at the same time.